Nowadays, the world gradually moves into a visual era, and more and more people become fond of telling stories by showing selfies on Instagram. You need to use a selfie app for iPhone if you want to show a more excellent image of yourself in the circle of friends. A selfie app for iPhone could enhance your self-portraits and allow you to create original and unique compositions. You may wonder which the best selfie app for iPhone is. Each selfie app for iPhone has its own merits and characteristics. The Five of the best selfie apps for iPhone are listed as follows. 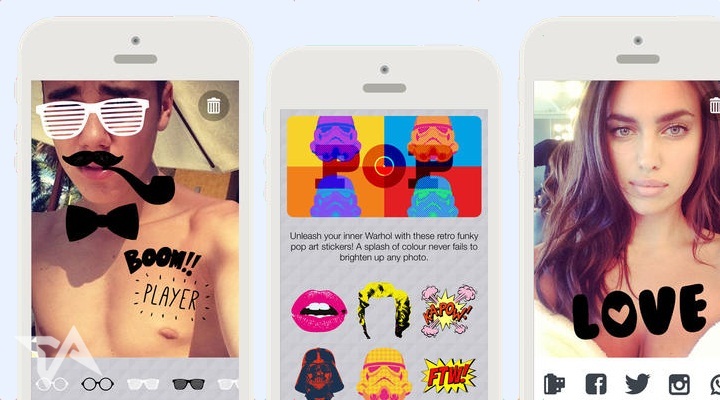 To find the right selfie app iPhone users can try them out one by one. Perfect 365 is one of the best selfie apps for iPhone. If you want a virtual facial surgery to change your eyes, lips, and the shape of your face, Perfect 365 would be exactly what you are looking for. 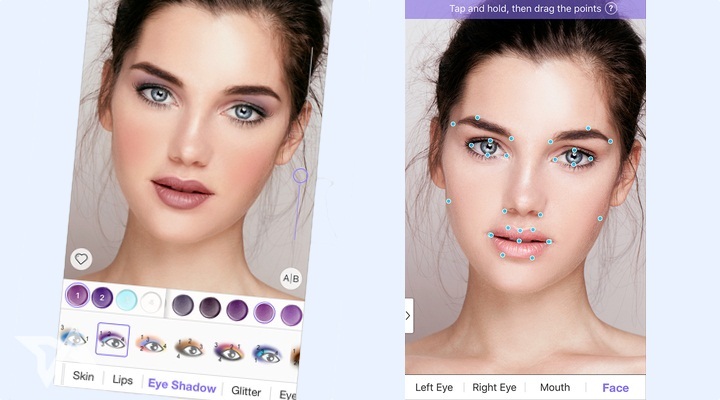 The advantages of Perfect 365 not only include the makeup and beauty tools to beautify your natural face, but also lie in the face detection technology which ensures your new look is accurately applied and doesn’t look botched. It is the best selfie app for iPhone, which always gives you surprise and satisfaction. B612 is also a remarkable selfie app for iPhone. It stands out as a result of the large collection of filters designed for use with faces, which enables you to make iPhone selfies look more slick than usual. Moreover, it has special background blurring effect which contributes to keeping focus on the subject of the selfie. Another advantage of B612 is that it can make video clips as long as three or six seconds. Actually, B612 would not make you feel disappointed if you have a try. If you want to take pictures effortlessly by winking or smiling instead of lifting a finger to snap an iPhone selfie, Selfie Cam is suitable for you. The most outstanding characteristics of Selfie Cam is that it boasts of face detection technology to activate a timer when it recognizes a smile or wink, which enable you to get rid of the blurry iPhone selfies taken with trembling hands reaching for a button. Another feature that really sets Selfie Cam apart is that it has many funny things, such as cartoony glasses, pop art hairdos and so on, which is perfect for decorating your portrait. Selfie Cam wound make you feel pleasant and enjoyable on Instagram, and it is also the best selfie app for iPhone. If you forgot to say “cheese” when snapping a selfie, how could you handle this problem? You’d better choose YouCam Perfect because it could make you add smile to your photos. The merits of YouCam Perfect lie in the options for skin smoothening, blemish removal, eye enlargement, and tweaks for longer legs and lither waists, which let you change your look with greater ease and more choices. 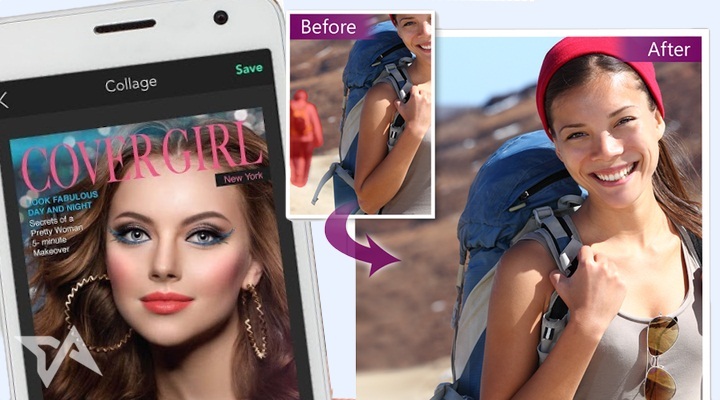 YouCam Perfect will meet your demand if you want to try on a virtual new look. Frontback is a very interesting iPhone app for selfies. The rear camera and the front camera take photos respectively and simultaneously, thus, you can observe your reaction to your environment and what you’re up to. It adds a sense of humor on your selfie, and it will make your photo outstanding and impressive. There are several tips to take better selfies using those selfie apps. Although the selfie apps are effective and functional, you should also bear in mind the tips to take better selfies. You should avoid too much light coming from the back of your shoulders, otherwise, it will make the photo look too dark and misty. Depend on natural light as much as possible, and avoid using light that is too dark or too bright. The sense of angle plays an important role in taking amazing iPhone selfies. Snapping a photo from a very low or high angle will produce undesirable profile which is weird, distorted or rigid. Thus, you need to pay attention to the right angle. It is known to all that the resolution of the front camera is very limited, and the iPhone selfie may come out with grains. Don’t hesitate to use filter in this situation. The filers could enhance your selfies which are snapped in lowlight or other distorting conditions. The selfie gets blurry if the object in the background is moving. Thanks to the burst mode option for your front camera, you can freeze moving things and capture the selfie through a few taps. 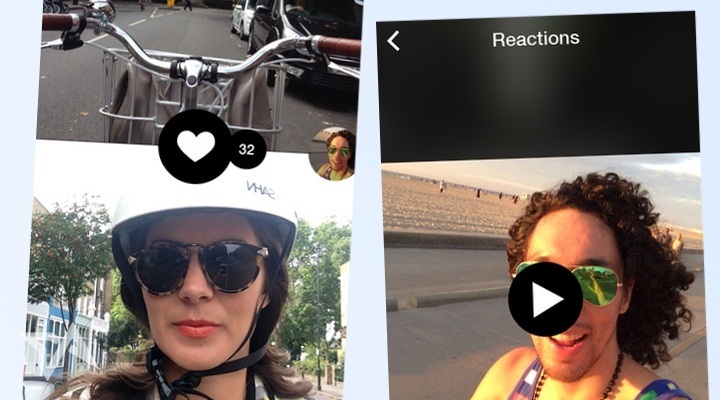 With the recommendations above, I’m sure you can find the right selfie app for your self. Remember to backup those selfies after you take them on your iPhone so that all the efforts you put into taking them won’t go to waste. 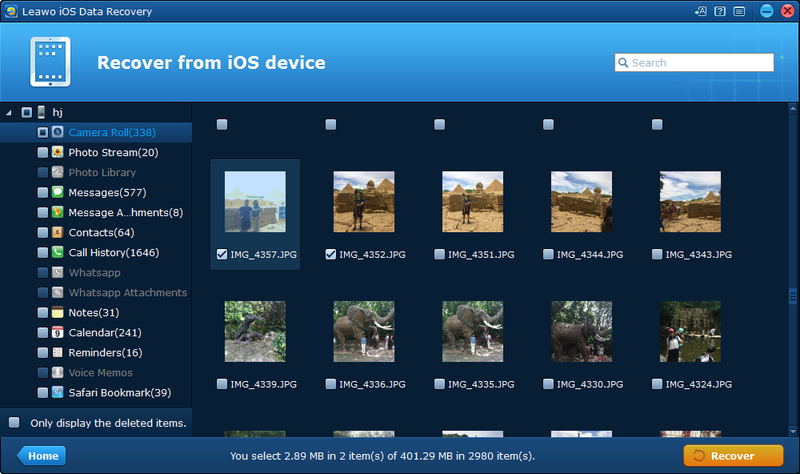 Here’s a great program for backing up photos on your iPhone to your computer. 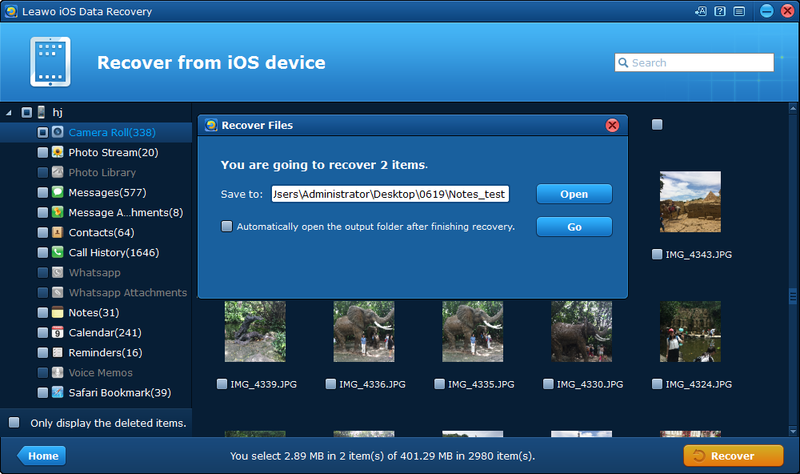 Leawo iOS Data Recovery is a power data recovery program for iOS devices as well as a data backing up program. You can use it to either recover mistakenly deleted selfies or back up those selfies of yours to your computer. Below are the detailed steps on how to backup your selfies to computer using Leawo iOS Data Recovery. Step 1. Open Leawo iOS Data Recovey on your computer, from the interface there should be 3 options provided to you. 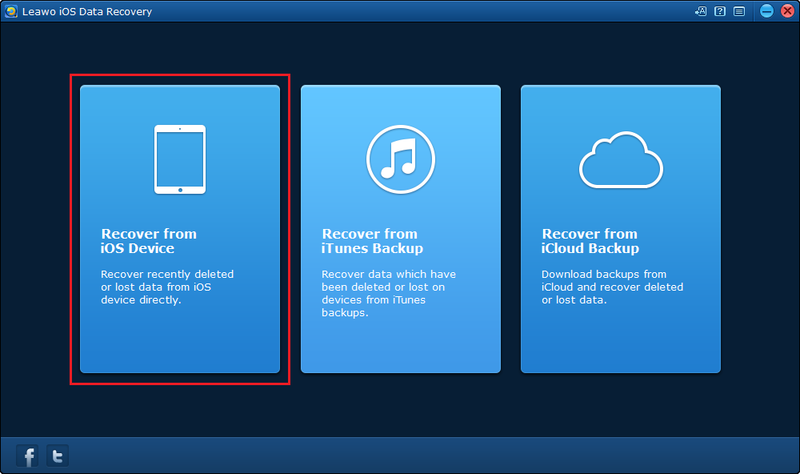 Click on Recover from iOS Device in order to backup your selfies. Step 2. Plug your iPhone to your computer and the program should recognize your iPhone in no time. When it does, click the Start button below the image of your device in the center of the interface and the program will start to run a thorough scan on your device. Step 3. 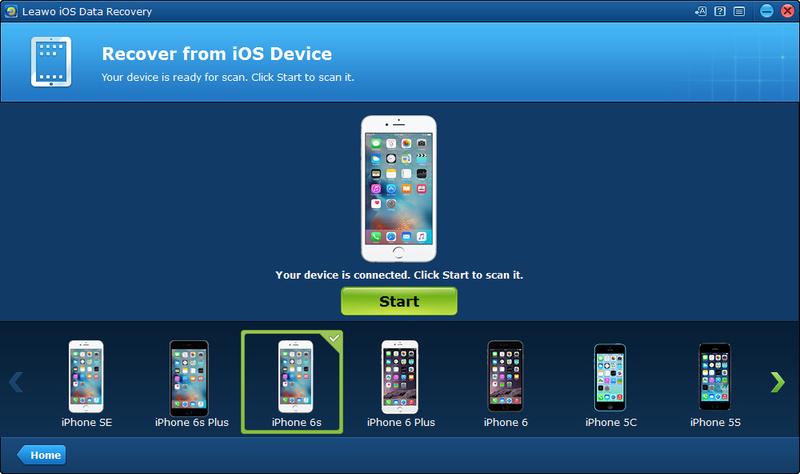 When the scanning process is complete, you’ll be able to check out 14 different types of data on your iPhone. Your selfies can be found in Camera Roll. Click on Camera Roll on the left column to check out all the photos on your iPhone including your selfies. Check the selfies you want to backup to your computer on the right-hand side of the interface and then click the Recover button in the bottom right-hand corner. Step 4. When a window pop up from the interface, click on the Open button on it to select a folder on your computer to store the selfies you’ve chosen previously. When you are done with it, click Go and the program will start backing up your selfies to the folder you chose immediately. The selfie app for iPhone could enhance your self-portraits and allow you to create original and unique compositions. This article helps you choose the best selfie app for iPhone. 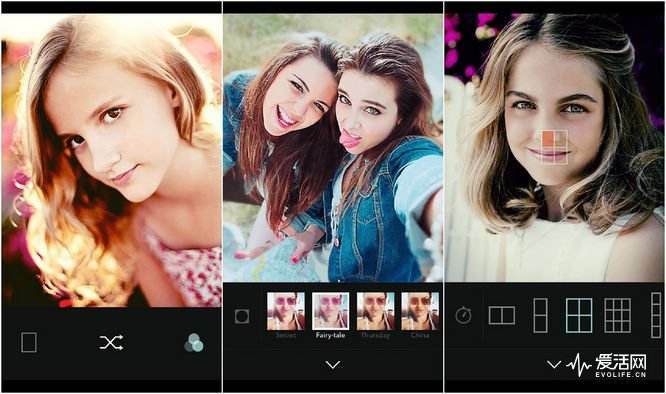 Five of the best selfie apps for iPhone are listed as Perfect 365, B612, Selfie Cam, YouCam Perfect and Frontback. Tips to take better selfies using those selfie apps include careful with lights, shot from the right angle, use the filters and freeze moving things with burst mode. After taking a satisfactory selfie, remember to back it up to your computer in case it got deleted by mistake.